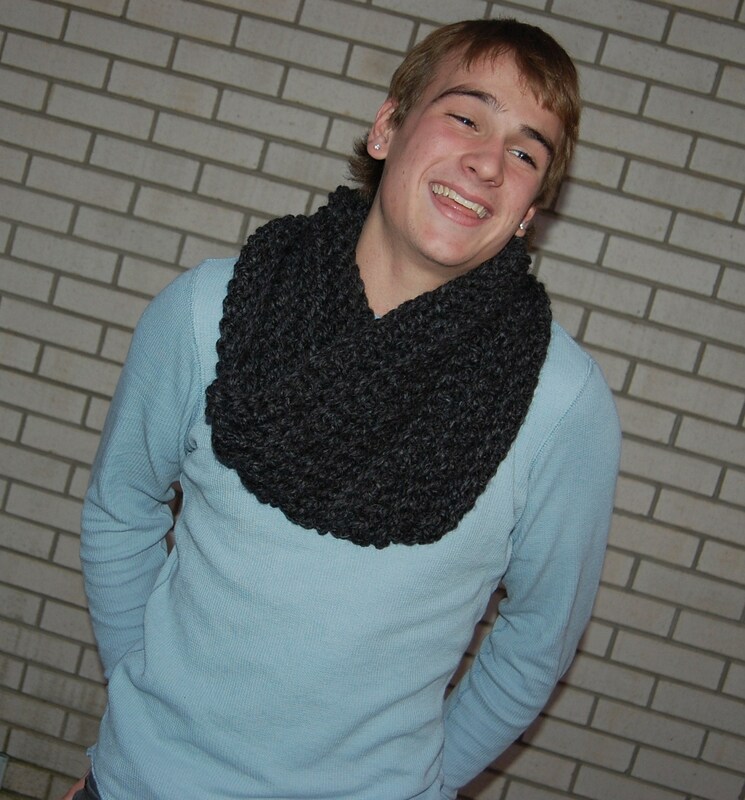 So if you haven’t noticed, I’ve been on a “cowl kick” recently. I love them. The chunkier, the better. With fall gearing up and my love of cowls in full swing, I couldn’t help but stock up on lots of cowl-making yarn tonight (like I need more skeins for my stash). 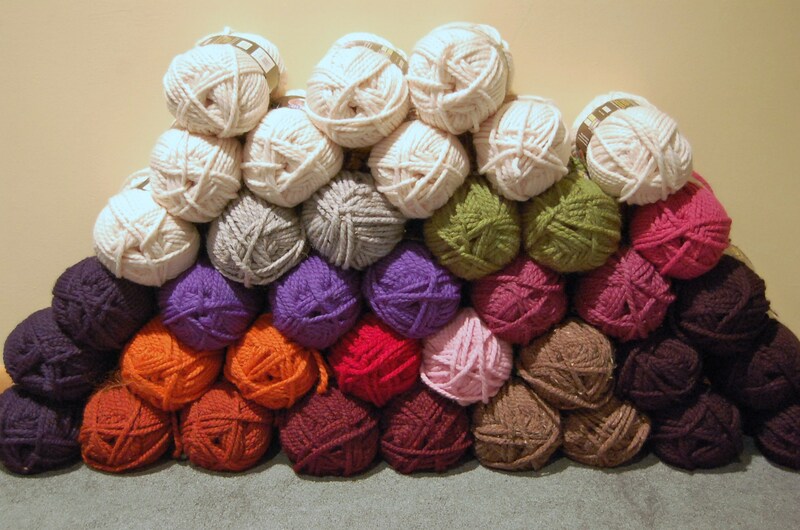 38 skeins to be exact. Most of this yarn will be turned into cowls and I think that warrants a FREE CROCHET COWL GIVEAWAY (posting about that next) WOO! The family was also over for Thanksgiving which means for the first time in a while, I’ve had live models! 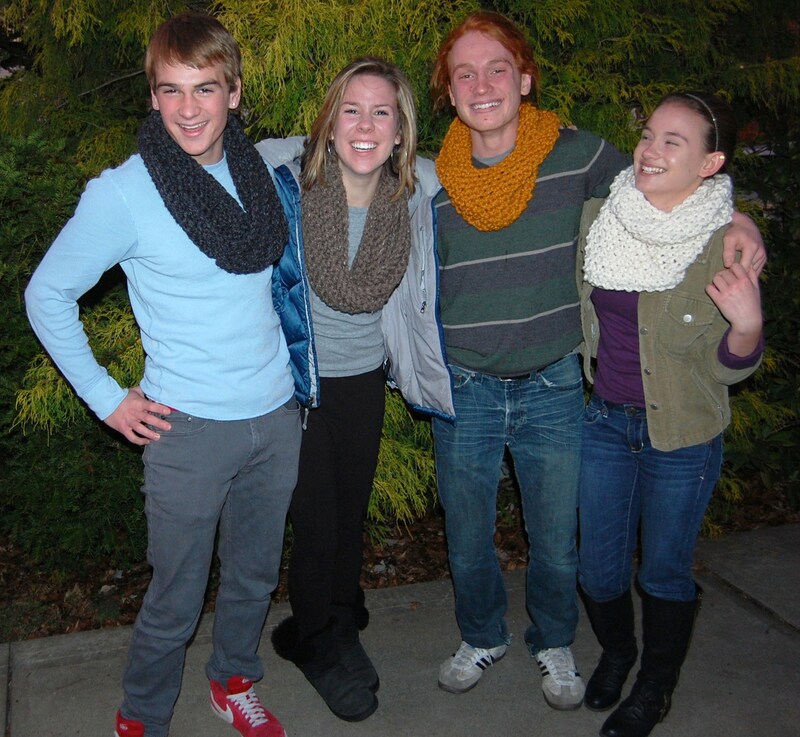 A few of my younger cousins and my sister (a JJCrochet regular), were kind enough to model a few cowls for me. Unfortunately, all the eating slowed us down and we didn’t quite beat the setting sun, but we were able to get a few shots in. 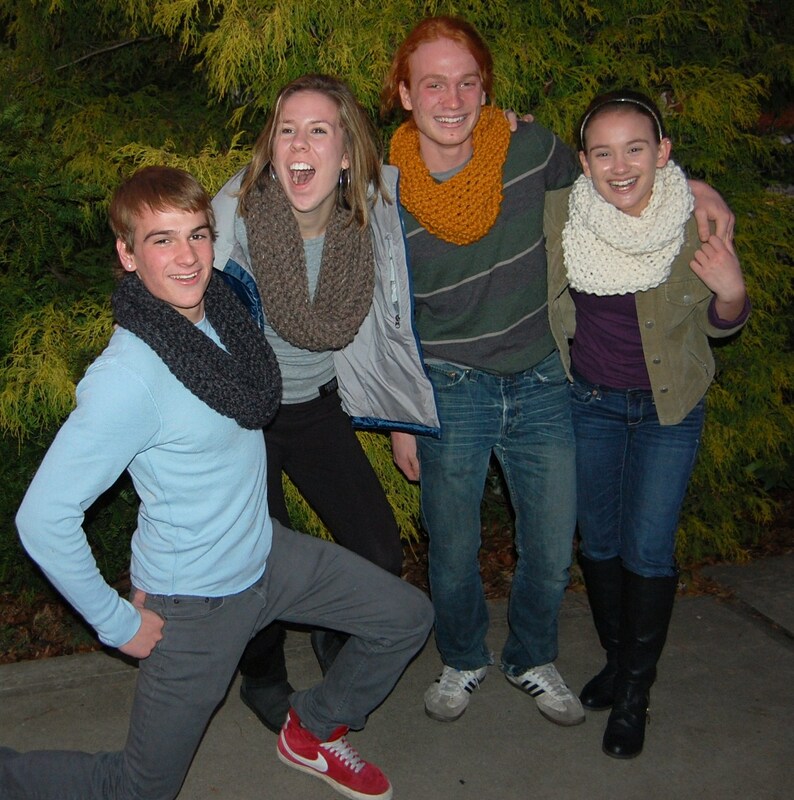 I’m still undecided whether or not these wonderful winter scarves can jump across the gender gap. 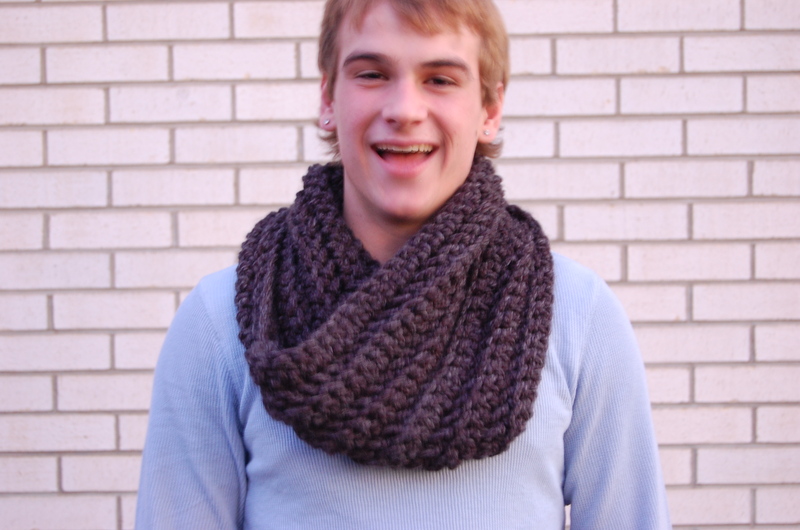 What’s your vote… Can guys wear crochet cowls?? 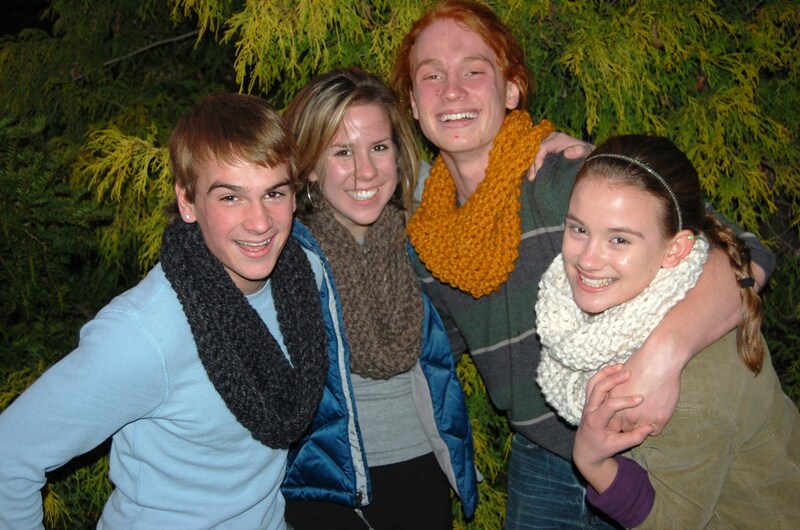 You can make most of the crochet cowls in this mini cousin-photo shoot yourself using JJCrochet’s free crochet cowl patterns.